Within recent years, frameless shower doors have become the standard for modern homes. These elegant solutions allow you to showcase your bathroom tile and eliminate eyesores which take away aesthetic value from your space. With an uninterrupted view of your shower, these contemporary additions also increase the perceived area in your bathroom, making it appear much larger than it actually is. It’s no wonder why homeowners with smaller spaces have been turning to frameless shower doors as a functional, appealing solution for broadening their bathrooms. If you’re a New York or New Jersey homeowner who is considering upgrading your bathroom with frameless shower doors, there’s no better source than Monsey Glass. Our family-run business has served the community for more than 50 years and delivers attractive, quality glass solutions for commercial and residential clients of virtually all needs. One area in which we excel is glass door fabrication and installation. Our frameless shower doors will transform your bathroom into the covetable oasis you’ve always dreamed of. Beyond enhancing the aesthetic value of your space, you’ll also enjoy easier cleaning and a greater degree of mold resistance. 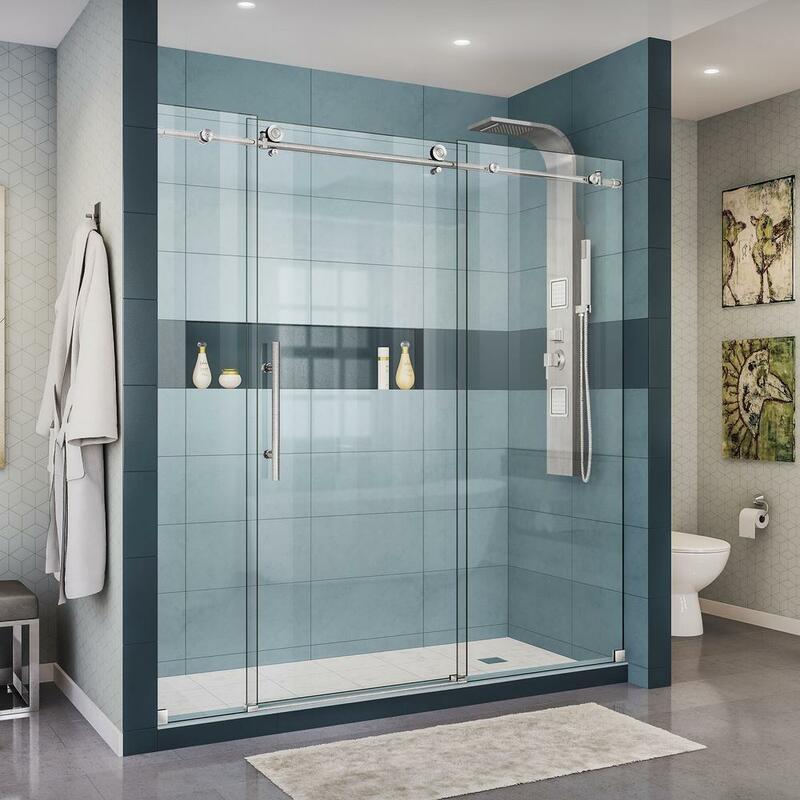 With fewer areas for mold to develop, our frameless shower enclosures are a cleaner and more sanitary alternative to traditional shower curtains. The sleek design and elimination of clunky door seals leaves virtually no place for bacteria to dwell. Upkeep is therefore quick and easy: just wipe your doors down regularly to enjoy a lasting, crystal-clear appearance. You don’t need to perform a full bathroom remodel to transform this area of your home. For a low-cost alternative, simply choose custom frameless shower doors from Monsey Glass. Our company prides itself on offering quality products and craftsmanship at accessible rates. To discuss your shower door project with one of our team members, contact us today! Review us online in one click! Website Design Services by Deluge Interactive | Managed IT Services by Delaney Computer Services, Inc.